Watsons has now been a one-stop-shop from being a simple pharmacy before. Its growing number of branches gives most Filipinos so much convenience. And this week, we got a chance to shop for our essentials at Watsons in Mall of Asia. "We" means me and my boyfriend so don't be shock if you see some products in this haul that aren't for woman. I know I got some male readers here and you might just relate on what these things are for. Most of the products that we got are on promo that is why you will see multiple numbers of them. It is really nice shopping in December! There are really good deals waiting for you in stores! 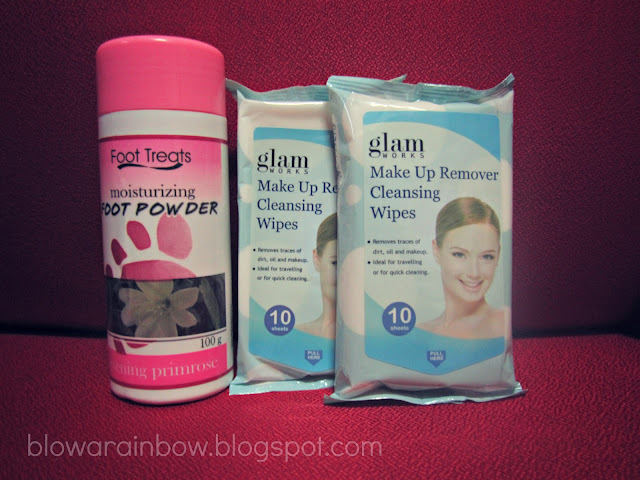 The first thing that I got is this Foot Treats foot powder with moisturizer for our everyday use. I got it for Php69 from the original price of Php79. 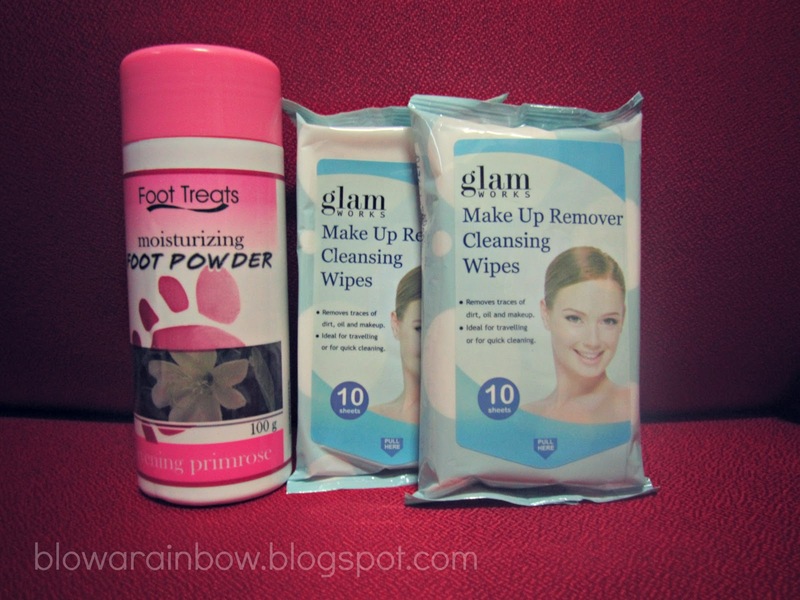 And since I have been enthusiastically putting on some make-up at work this week, I knew I am also be needing a decent make-up remover when I got home so I get this Glam Works make-up remover cleansing wipes which are on sale in buy 1, take 1 promo! I got them at Php47 only! 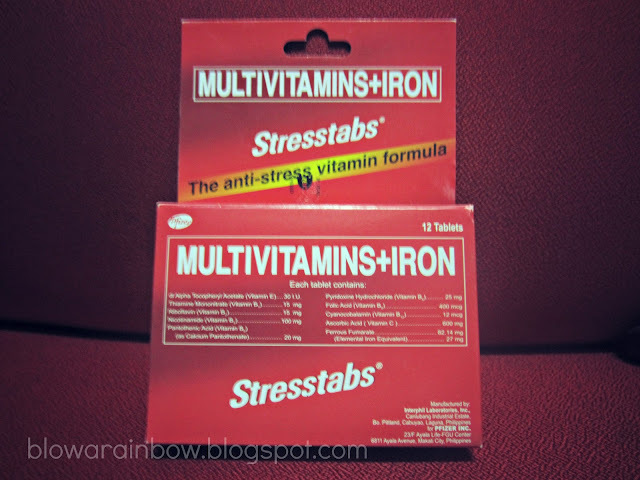 Stresstabs has been my everyday vitamin since I started working. In all fairness, it takes away the sleepy feeling so I can stay alert at work. Here is another item that we got on promo of buy 1, take 1. It is Watson Men facial travel kit. It consists of a facial wash, a toner and a facial gel. 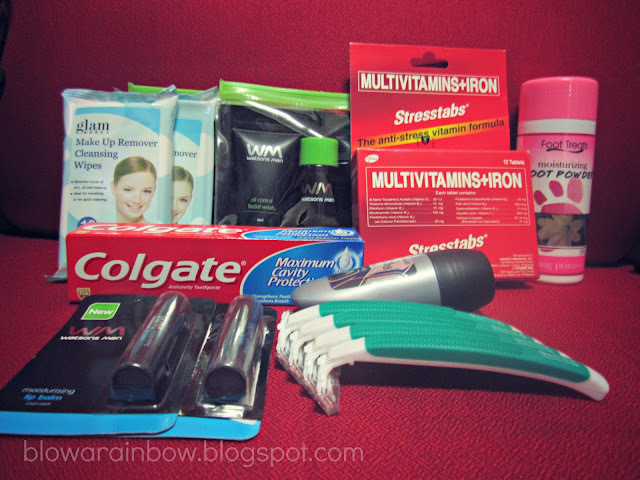 We got it for only Php82 for these 2 packs. So cheap right? And I so love the packaging color combination that are black and neon green.. Cool! Another item that was selling in buy 1, take 1 promo is this Watson Men moisturizing lip balm. 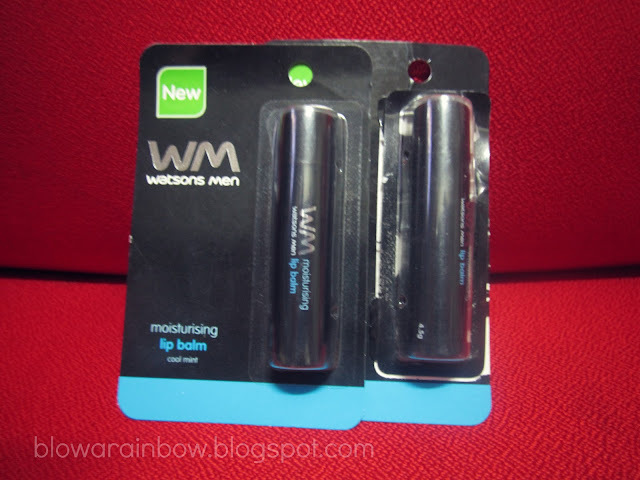 We got this 2 for only Php49! 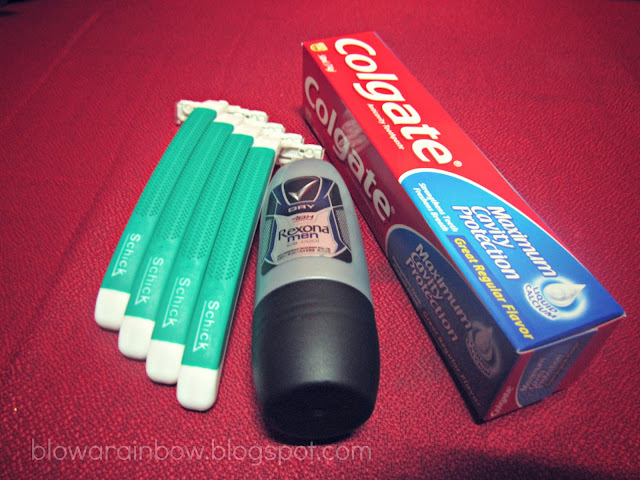 Lastly, we got a Colgate toothpaste, a Rexona for men deodorant and Schick shavers.